Luxury malls and world-class restaurants abound in Phrom Phong, perhaps Bangkok’s most exclusive district. 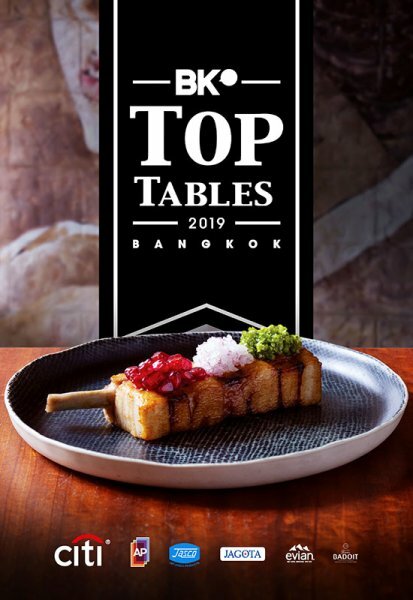 See out these top picks, as determined by our Top Tables 2019 guide, for some delicious respite from the crowds. (Italian) Through a menu that charts in-house rotisserie meats, unctuous stews, Mediterranean seafood and incredible homemade pastas, chef Paolo Vitaletti’s home-style interpretation of Italian cuisine is as close as the city comes to true trattoria dining. Rarer, seasonal items come and go to complement the Roman family recipes, but what seemingly never changes is the restaurant’s mix of class and casual charm, only heightened by an excellent wine list. (Western) Sukhumvit’s rusticated steak and rotisserie meats specialist pairs cosmopolitan lounge bar vibes with the comfort of big portion sharing plates and hearty flavors. Tomahawk steak, burgers, Barbary duck and crispy pig are the orders of the day, as are the cold cuts and cheeses from the restaurant’s deli. (International) This modern two-story wood house with backyard views is the brainchild of two Indian chefs, Deepanker Khosla and Tarun Bhatia, who are both zealots for the farm-to-table and zero-waste approach. Equal parts urban farm and modern fine-dining restaurant, they grow a vast array of edible greens onsite which feature throughout their nine- and 13-course tasting dinners. The humble tomato is elevated in high-wire dishes like the Tomato Mist with whey, Indian barrage, blueberry and celery, though meat-lovers will take comfort in the wagyu short ribs, assisted by glazed eel, smoked eggplant, black garlic, raw mushrooms and buckwheat foam. (Chinese) The huge crowds that fill this restaurant’s bright, light dining space are here for the all-day dim sum presented in a European-style room replete with chandeliers and 18th-century ink drawings. Brisk service and salubrious surroundings complement an endless parade of dumplings, noodles and buns. 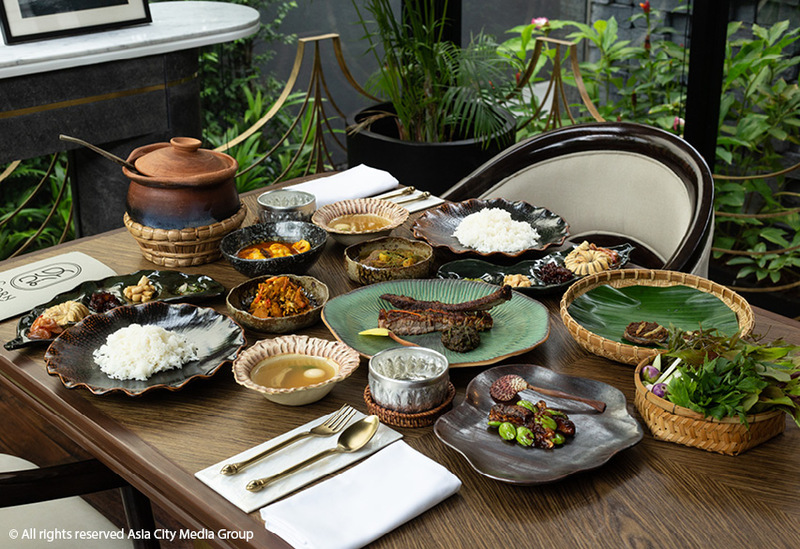 (Indian) From the gorgeous 1960s house and garden to the hyper-vigilant service and rich curries, this restaurant has represented the peak of northern Indian dining in Bangkok for over a decade. If it’s a wellexecuted butter chicken or chicken tandoori you want, this is the place. 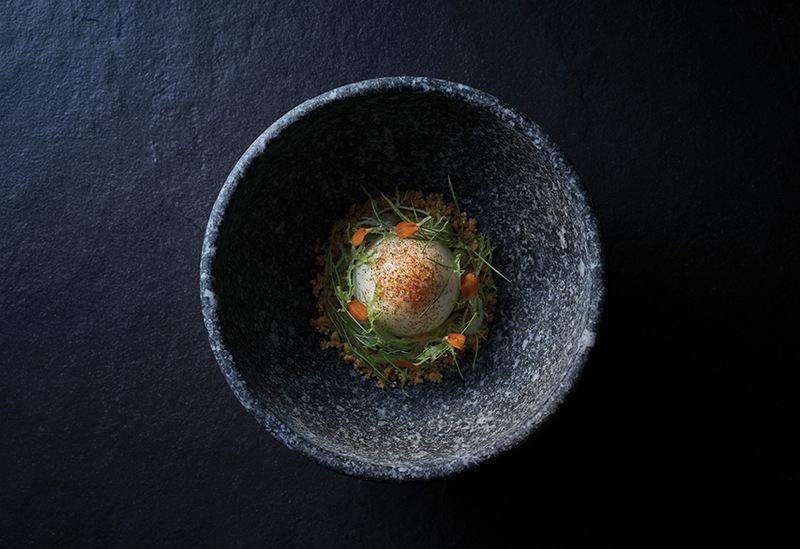 The 10-course tasting menu takes the cuisine in a more modern, but no less rewarding, direction. (International) The first thing you notice when stepping into the cavernous interior is the gigantic fire pit, usually festooned with a steak or hanging lobster or two. But this is no ordinary barbecue. Seasonal vegetables rule, as does generous but refined plating. Chef Chandler Schultz’s live charcoal cooking skills extend to nearly every dish on the menu. (Japanese) Tomaharu Shono’s Tokyo-to-San Francisco ramen chain elevates the humble soul food beyond the tonkotsu and shio standards. This sleek, monochromatic affair doles out a next-level chicken-based broth furnished with seasonal, local ingredients. The milky-rich tori paitan is a game-changer, topped off with thick-cut chashu pork, two pink, juicy slices of sous-vide duck, and a dollop of tart pickled plum paste. (Japanese) Following up its 20-plus branches across Asia, this Tokyohailing izakaya is all about motsuyaki, or Japanese-style nose-to-tail dining. That could mean pork liver topped with sauteed garlic and onion or tender beef tongue, all at prices that will make your wallet sing. More adventurous offerings include grilled pig diaphragm or heart, but the squeamish can opt for chicken meatballs or a chicken teriyaki rice bowl. (Italian) This venture from team Appia remains the go-to for authentic Naplesstyle pizza, made to stringent Associazione Verace Pizza Napoletana rules. Starring a tangy and pillow-soft crust, only slightly chewy with charred bits from the blazing hot oven, even the simplest pies, like the Marinara with its perfectly acidic San Marzano tomato sauce, shine— though you’d be remiss not to take in a full multi-course feast of pastas and sharing steaks in this warm but well-polished space. 27/1 Sukhumvit Soi 33, 02-119-7677. Open Mon-Thu 11:30am-3pm; daily 6pm-midnight; Fri-Sun 11:30am-2:30pm. 6 other branches in Bangkok. (French) At this long-established French classic, expect your buttery whole Dover Sole and apple tarte tartin to have been labored over by a chef-owner who’s almost always in the kitchen (except when greeting guests post-meal). Go to enjoy the plush, turquoise silk wallpaper and imposing flock curtains, too. (Thai) There are two types of Bangkokians. 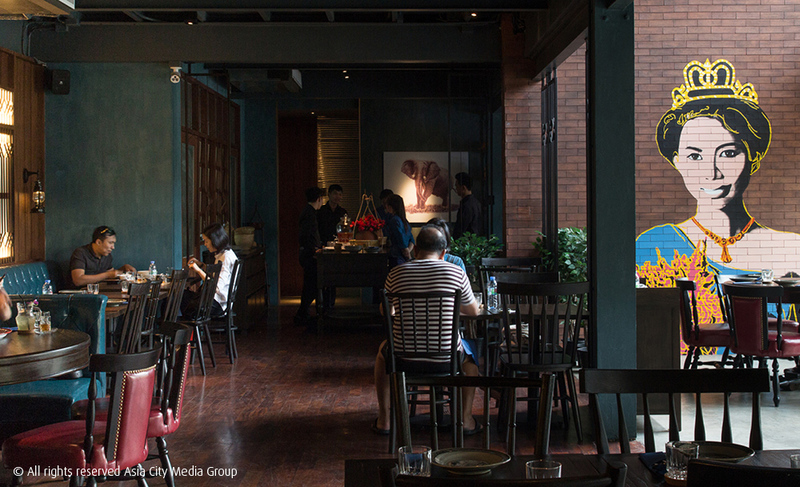 Those who have dined at Sorn, the 20-seat southern Thai restaurant from Baan Ice founder Supaksorn Jongsiri, and those who haven't. Joining Ice is chef Yodkawan U-pumpruk, whose five-course sharing menus are causing a sensation thanks to bold flavors, traditional techniques—fermentation, coconut milk squeezed on-site daily—and a decadent, exclusive dining room. (Thai) Luxurious rooms of azure, button-backed leather sofas and louvered wooden panels welcome a buzzy, high-end crowd to dine on recipes drawn from Thailand’s eastern provinces: a chamuang leaf curry of well-stewed, delicately sour notes, packed with melt-in-the mouth pork; a creamy lon pu kai dip made with the sweet flesh of a whole mud crab. The drinks menu steers you in the direction of cocktails with a Thai twist, like the Thai coffee-spiked “O-Liang” with its mix of whiskey, port, apricot brandy and spice. (Japanese) Bangkok’s omakase scene has gone from zero to 100 in just a couple of years, and while many of these hallowed dens of raw fish can seem daunting, that’s not the case here. Japan-native Masato Shimizu earned his stripes in New York, and it shows in his warm, conversational demeanor where he’ll happily break out a book mid-meal to educate you on the relative merits of murazaki or bafun uni, or to explain at length his process of charcoal grilling (replacing the blowtorch). You won’t want your 20 courses to end. 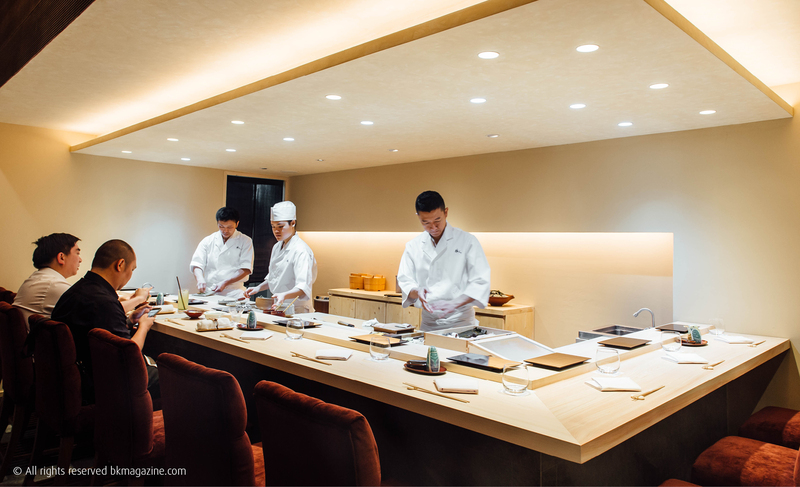 (Japanese) Whether seated in the polished back dining room or at the 12-seat kitchen counter, you’ll sense in this Tokyo-born restaurant those little flourishes that make omakase special. The sushi is cut large, pre-slicked in soy sauce and dabbed with freshly grated hon wasabi (smooth yet fiery, less nasal than the ready-mix stuff). The earthy-looking rice is loosely compacted, wheaty and seasoned just-so.